Xi'an Xianyang International Airport (simplified Chinese: 西安咸阳国际机场; traditional Chinese: 西安咸陽國際機場; pinyin: Xī'ān Xiányáng Guójì Jīchǎng) (IATA: XIY, ICAO: ZLXY) serves Xi'an, Shaanxi, People's Republic of China. Covering 5 square kilometres, it is the largest airport in China's northwest. Due to the Chinese western expansion, visitor and cargo flow are rapidly increasing. The airport was the hub for China Northwest Airlines until the company was merged into China Eastern Airlines in 2002. 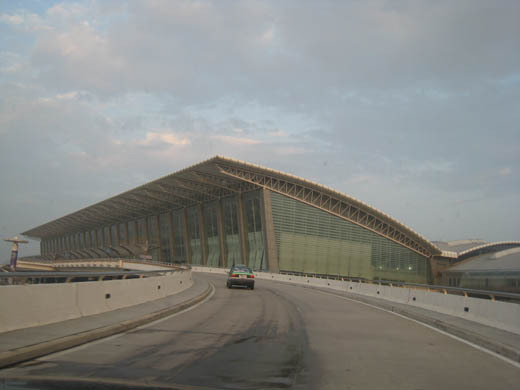 Currently, the airport connects to 79 other cities domestically and internationally. 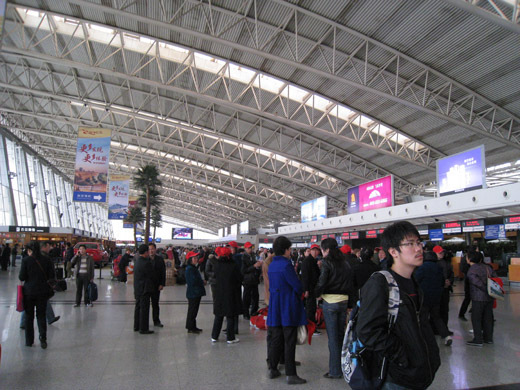 In 2009, the airport handled 15,294,948 passengers, which made itself the busiest airport in northwest China and the 8th busiest nationwide. Xi'an Xianyang International Airport was also the 14th busiest airport in terms of cargo traffic and the 9th busiest airport by traffic movements. The airport is currently undergoing a major expansion with a new terminal as well as a second runway. 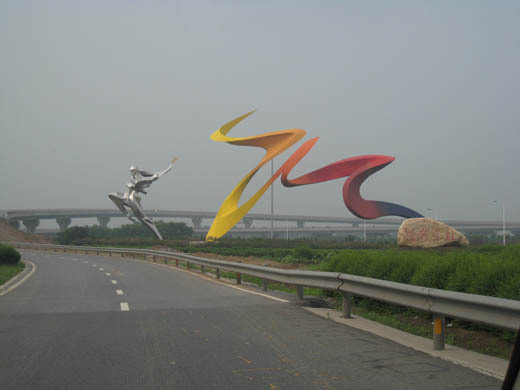 Before Xi'an Xianyang International Airport was built, Xi'an was served by Xi'an Xiguan Airport (IATA: SIA, ICAO: ZLSN). In 1984, the State Council of the People's Republic of China and Central Military Commission proposed to build a large civil-use airport on the site of Xianyang's airfield. Phase 1 of the airport commenced construction on August 1987, and was finished and opened in September 1, 1991. 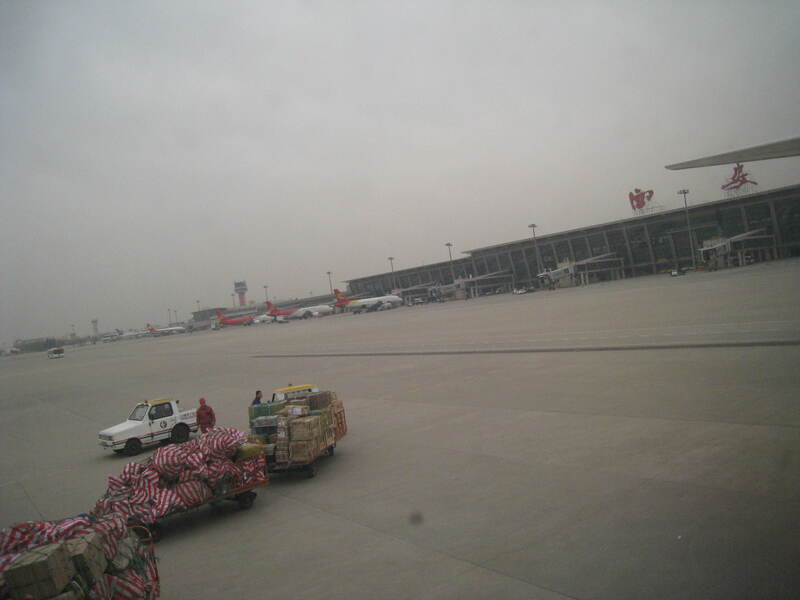 Xi'an Xiguan Airport closed at the same time. Phase 2 started in August 2000, and was finished on September 16, 2003. Also, in 2007, the airport signed an agreement to do trading with Pittsburgh International Airport in Pittsburgh, Pennsylvania, United States, creating the "Air silk road." Another RMB7.592 billion invested project is scheduled to be established by 2020. During World War II, the airport was known as Hsian Airfield and was used by the United States Army Air Forces Fourteenth Air Force as part of the China Defensive Campaign (1942–1945). The Americans used the airport primarily as a photo-reconnaissance airfield, with unarmed P-38 Lightnings, equipped with aerial cameras flew over Japanese-held territory providing intelligence to the Chinese ground forces. In addition, P-61 Black Widow night interceptor aircraft flew from the airport, providing defense against night bombing raids by the Japanese, along with P-47 Thunderbolts day fighters and C-47 Skytrain transports flying in supplies and ammunition to support friendly forces in the area. The Americans closed their facilities at the airport after the end of the war in September 1945. As of 2010, the airport is undergoing major expansion. A third 170,000-square-meter terminal building is being built along with a second 3,800-meter runway and related support facilities. After expansion, the airport will reach 26 million passengers annually, and will become the fourth Chinese airport with independent parallel operation of instrument runways. On June 6, 1994, China Northwest Airlines Flight 2303 broke up in mid-air and crashed near Xi'an, enroute to Guangzhou from Xian. A maintenance error was responsible. All 160 people on board died. RSTD 180 turns on rwy proh. All A/C must follow guide to and from apron.